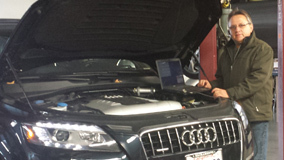 Walnut Creek Auto Repair | German Sport, Inc. Welcome to German Sport Inc., Your Complete Walnut Creek Auto Repair Center! Auto repair Walnut Creek drivers have trusted for years. You don’t own an ordinary car, so you shouldn’t bring it to any ordinary service shop. Come to German Sport Parts & Service, Inc. We’re different and specialize in European auto repair. Our passion for maintaining cars is matched only by our passion for driving. Fast, reasonable auto repair service is the standard with us from a brake repair to an engine rebuild. If this is what you are looking for, then give us a call today! Free Towing with major repairs and local shuttle available. German Sport Parts & Service, Inc. has been in operation since 1986. The original shop was in Concord. As our business increased, we realized that a much larger facility was needed — centrally located, with easy freeway access. 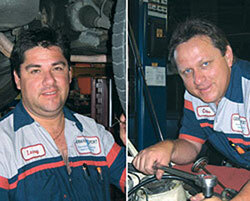 Finally, in 1996 we moved into our current auto repair shop just off North Main Street in Walnut Creek. Our address may have changed, but our commitment to our customers is the same. In fact, German Sport Parts & Service, Inc. has received top honors for our customer satisfaction. Your car gets treated just as well, with the best replacement parts available. 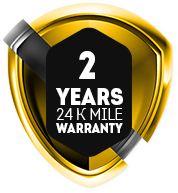 And we guarantee our work, parts and labor for 24 months or 24,000 miles.